Welcome to Grand Caribbean West! Grand Caribbean West Vacation Rentals are located on Scenic Gulf Drive West, Destin Florida. 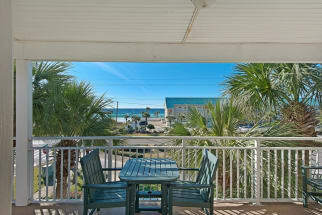 This 3-story condominium is placed right across the street from the wonderful beaches of Destin. 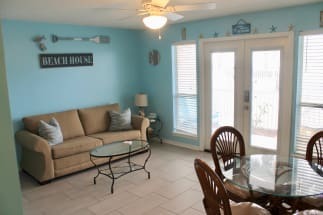 This Emerald Coast condo is a place to go for a beautiful beach vacation! Each of these amazing rentals sleep up to six people, and some have hall bunks. The views from the private balconies are ones that you'll never get tired of looking at! Onsite amenities include fully equipped kitchens, a seasonally heated pool, onsite laundry facilities and a washer and dryer combo! You are sure to find many areas perfect for all of your shopping and entertainment needs. One of the most popular shopping centers is Destin Commons, it has any shop you could imagine. Take the whole family to the Big Kahuna Water park for some family fun on some water slides and in the wave pool! Another popular entertainment site is the HarborWalk Village. They have everything from rock climbing and parasailing and boat rentals and many different restaurants to choose from! Thank you for visiting Emerald Coast By Owner for all your vacation needs! Make sure to contact the property owner today if you are interested in staying in the Grand Caribbean West condominiums!